MEJ Personal Business Services, Inc. is a premier provider for Interpreting and Translating . We have combined our knowledge and expertise with our talent for language translation to offer you a service that is unparalled within this industry! As a leader in our field, MEJ is making an impact that can be felt all across the globe in over 150 different languages. MEJ’s ability to provide Interpreting, Translation, and Financial services that assist customers in obtaining equal access to services they need is remarkable! Based in New York City, MEJ Personal Business Services was founded in 1994 to provide assistance for both Deaf and Limited English Proficient (LEP) consumers to obtain equal access to services that were not easily available to them before. We offer over 15 years experience providing accurate professional Interpreting and Translating of Legal ,Technical , Marketing and Medical subject matter,and a pool of trained Langugage translators along with linguists, who have degrees, are dedicated to you and at your service when you need Interpreting for events or accurate Translating of your documents, materials, and applications. We also offer affordable Transcription of Audio and Video in over 150 languages. 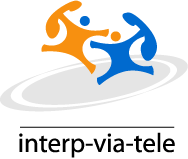 MEJ is an organizational member of the Registry of Interpreters for the Deaf (RID), the National Association of the Deaf (NAD), the American Translators Association (ATA) and the National Council on Interpreting in Health Care (NCIHC). MEJ is a Small Business Administration approved 8(a) Business Development contractor and a New York State Certified Minority Owned Business Enterprise, that is continuously committed to creating and maintaining an environment friendly atmosphere for your Deaf, Hard of Hearing, and Limited English Proficient (LEP) clients. MEJ Personal Business Services comprised of two divisions that consist of our Global Language Communication Solution and Personal Business Services divisions. They have a proven history of delivering quality, detail-oriented Interpreting and Document Translating services that are both accurate and timely! MEJ is committed to helping you establishing effective communication while providing you superior customer service.